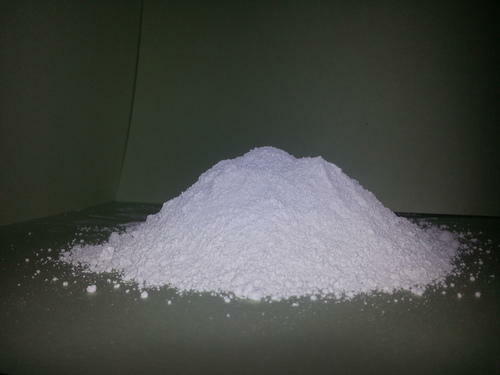 Our company is involved in production of Lightly Calcined Magnesium Oxide. This is a powdered substance used to make cements, fertilizers, insulated electrical cover and many more products. Molecular formula of this substance is MgO and molar mass 40.3044 g/mol. Magnesium oxide is widely used in preservation of books and magazines from moisture. Our range is made using latest formulation technologies to ensure total compliance of industry specified quality norms. Specifications WE ARE LEADING MANUFACTURER AND EXPORTER OF MAGNESIUM OXIDE. We are involved in offering Magnesium Oxide 90%, a white solid mineral which is the most cost effective grade. This is a magnesium source that naturally occurs as periclase. It finds application in food, feed, paint, ceramic and other such industries. The chemical has the appearance of white powder. It is packed properly to avoid any kind of damage and reaction. We offer them as per the industrial standards. Sharad Enterprises Established in the year 1983 as a prominent manufacturer and exporter of various Industrial Products. We are an ISO 9001 : 2008 Certified Company and A Govt. of India Recognized Export House. Our Products range includes Abrasives, Magnesium Oxychloride Products, Chemicals, Food Processing Machinery, Agriculture Products & Spices, Hardware & Tools, Engineering Machinery, Minerals, Weighing Machines and Agriculture Implements.